The best Asian food ini Corpus Christi covers a wide range of restaurant types and countries. You can't go wrong with this comprehensive list. 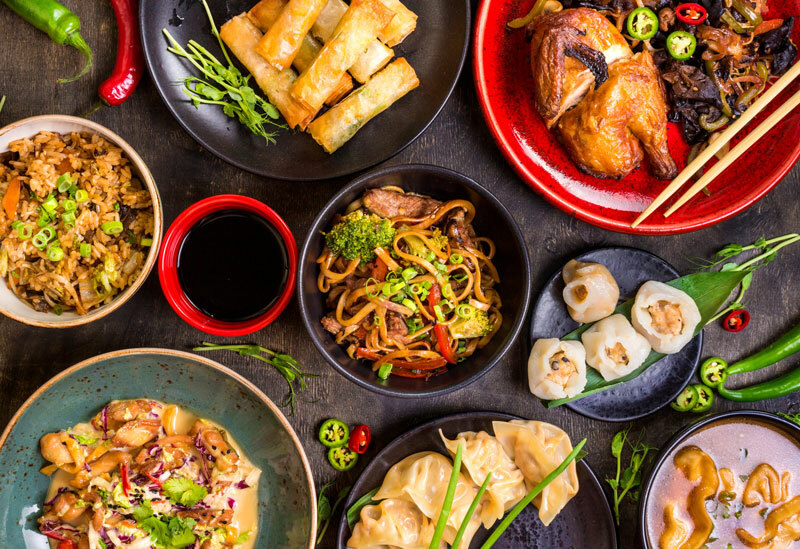 The best Asian food in Corpus Christi covers a wide spectrum of flavors from China to India to Thailand to Japan and even the Philippines. Some restaurants offer more than one cuisine, cooking each as if a speciality. This list of best Asian food in Corpus Christi includes a variety of styles in restaurants as well. Some set out buffets and offer all you can eat; others have you line up to place an order before sitting down to dine. Another offers fine dining in a lovely downtown location. As with all Asian restaurants, you can usually eat in, take home or have it delivered. Here’s a look at our favorite Corpus Christi Asian restaurants. Maybe you might want to add some more? One of the best traditional Chinese restaurants in South Texas. The dumplings are as good as any you will find in New York’s China town. The lo mein is spectacular as are the soups and sesame chicken. Enjoyed the service as well. The line is always long at this Vietnamese restaurant, especially at lunch. Vermicelli dishes are popular as are the Noodle House specials such as cranberry salmon, shaken beef, lotus salad and udon. Reasonably priced and delicious. The buffet offers sushi along with traditional Chinese dishes. American food is available for picky kids. The all-you-can-eat offerings keep you going back for more. Contemporary Vietnamese cuisine in an elegant setting. A gem in downtown Corpus Christi, this restaurant cooks with only the freshest ingredients. Chef Tony Lam insists on everything being made from scratch. Sushi rolls and Thai food along with favorite Chinese dishes. Longtime diners suggest the Sang Salad. The cafe has a traditional Japanese sitting room for six. Reviewers say this Filipino restaurant has the best lumpia ever! Diners are served big portions of tasty food with favorites being pancit, pork adobo and combination fried rice. Fresh fruit bar and a create-your-own stir-fry grill. Choices go beyond Chinese to Japanese and Italian food. All-you-can-eat buffet available for lunch and dinner. Famous for its drunken noodles, Thai tom yum noodle soup and an amazing sweet-and-sour chicken. Also serves curries. Dine-in, drive-through or delivery. Terrific buffet with the freshest naan and an amazing tikka masala. The TV is always on with Indian music videos, which adds to the ambience. It smells as good as it tastes in there.